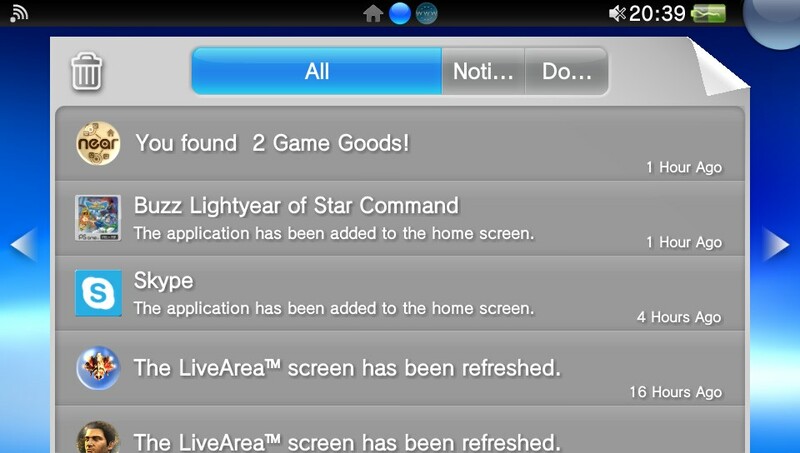 A PS1 game has appeared in the Vita European Store. doesn't seem to work atm so most likely a glitch but something has to be happening in the background. release soon, please! error code C1-2749-2 when trying to run the game, file corrupt when trying to view the manual. Its about time to retire my PSP and get a Vita. Was planning to buy a crapton of PS1 RPGs I kept telling myself I should play. This is a good thing. But why no formal announcement? 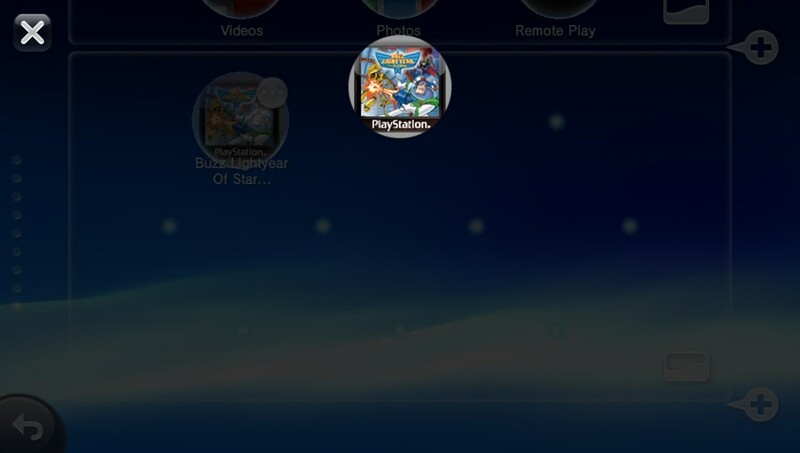 Whoa I came to be snarky but when I saw it downloaded and installed AND there's already a PS1 classic background picture for it when you are on the Live Area Screen. This is...arousing. Well, it doesn't work yet. This is good news. Hopefully the announcement will be soon and I can finally buy a Vita. I have tons of PSOne games from PS+ and my own purchases. Time for a bigger MC. E3 I'm sure we'll hear something about this. Still so far away. I want it now. Either it was a mistake, seems unlikely that the Vita would even show it, or there's an incoming firmware update that will enable it. Hopefully all this tame it took they were working on improving the emulator to allow for a native resolution increase. yeah i was thinkin since they put it up, even if it was a mistake, we're going to see a firmware update with ps1 support real soon since they are configuring everything i guess, which is why i thought it was threadworthy. I hope Kaz is hosting. For £3.99, I decided to confirm that this is legit and poke around a bit. The thing boots into the PSP emulator, which would initially suggest it's just mislabelled or something, but the custom Live Area background confirms the support is coming. I tried to pull up the parental controls and size for it, but it just gives a blank screen. 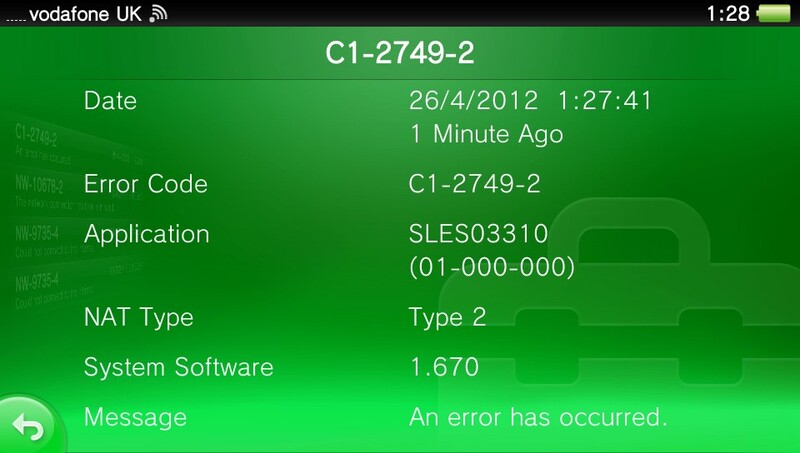 Is it a new PS1 emulator or just the PSP PS1 emulator? Haha. Now you own Buzz Lightyear of Star Command. Shiieet, wrong Buzz Lightyear game, needs more Toy Story 2!! It doesn't run at all, so who knows. I'd be very surprised if they reuse the PSP's emulator though. I guess this is being saved for an E3 announcement. Knowing SCEA, half the psone games won't work like with minis and psp. And none of the ones gotten through PS+. 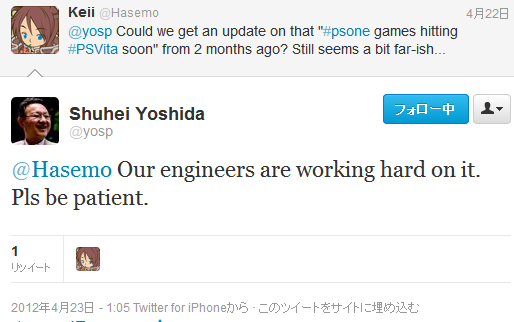 I still don't understand why Sony is having trouble with PSone games on the Vita. I mean, this should have been included day 1. The only other thing I could really do is look at the error logs and see if it gave any more info. You don't see how testing compatibility of every psone game could take time? Let alone writing a hopefully better emulator than the one that runs on the Xperia play. 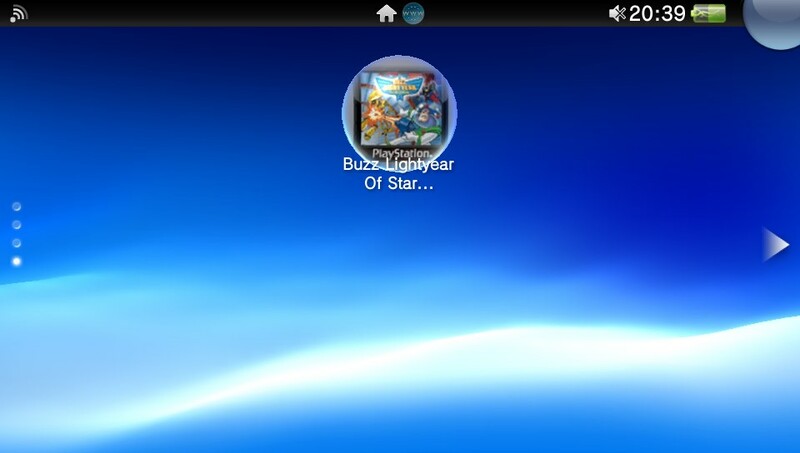 Folders should be included day one with 3DS/Vita. 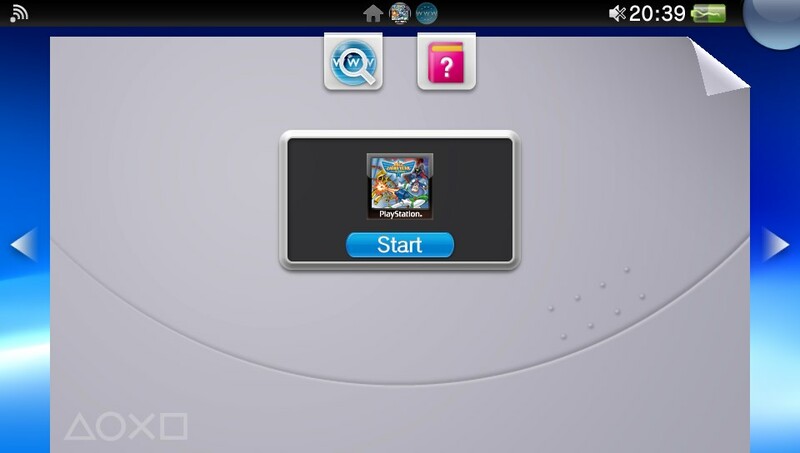 I imagine they just ported the PSone emulator from PS3 over, but now it's the matter of testing it out. They're probably testing it with every game from every region currently available to make sure there's no unexpected surprises. I guess they had to test every PSP game too, and that seemed to be the number one priority for launch. Can't be long now! This is what will cause me to go and get a bigger memory card I think. I'm certainly glad I managed to get that 32GB card for $40 from that pricing mistake a while back now. 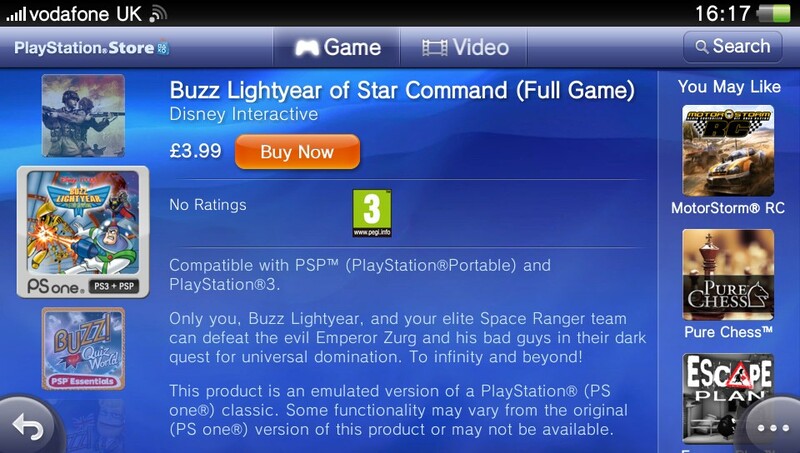 While PS1 games are no doubt coming to Vita, this is probably just a mis-categorisation (is that a word?) from the SCEE peeps. I'm kinda bummed I missed out on that deal. I current just have the 4GB card that Amazon gave me for free. Might just get a 8GB card to hold me over until cheaper 32GB cards come out (if they ever do). thought Sony was saving this til e3? with this appearing they must have folders as well right? i can imagine Ps1 games could fill most of those pages , especially given (by the pic) that it installs like the other stuff. Vita has no folders, didn't you hear? Its probably taking long because the Vita is new hardware and the games all have their own unique emulator for 100% compatibility. If they used a universal emulator a few games would probably run like crap. They also have to work on getting all the Minis working on the Vita. It's so frustrating getting so many of them from PS+ and almost none of them working on the Vita. The dedicated LiveArea background is encouraging. Once PS1 games are playable on my Vita, it will return to being the work-destroying time-consuming beast that it was when I was playing P3P.